The Smith Optics Route MIPS Road Helmet takes both visual and structural cues from Smith's top-level Overtake helmet and puts them in a package designed for the everyday rider. Its clean design is right at home in an urban environment, featuring unmistakable co-polymer Koroyd® tube panels placed in targeted impact areas to bolster protection in case of an impact. 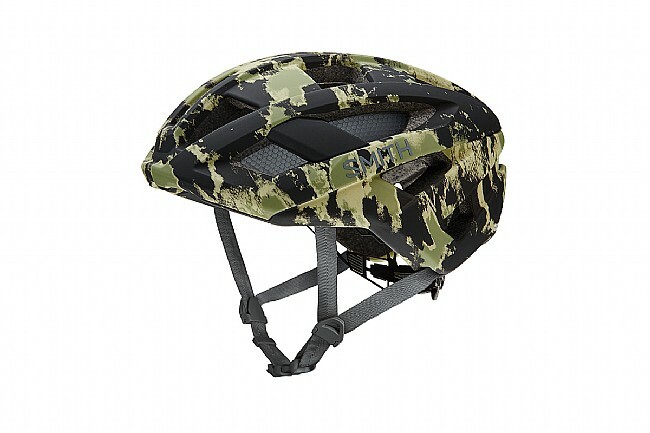 Hidden from outside view is a state-of-the-art MIPS multi-directional impact protection system that gives the helmet calculated slippage during a collision to better disperse rotational forces on the head. This premium protection comes backed up with superior comfort, with Aerocore™ in-mold construction permitting excellent ventilation through the shell's 18 vents and internal AirEvac channels that move air over the brow and through the back of the helmet. An adjustable fit is achieved with the VaporFit®'s tension dial at the rear, and the X-Static liner features Reactive Cooling to help keep your temp down when your efforts start picking up. The Smith helmet has a nice and snug fit. It has a nice appearance and MIPS. Its a bit heavier than my last Gyro helmet but fits much more secure and comfortable. I would recommend it to others.